With the huge selection of wrought iron balusters, component pieces and accessories the design possibilities are truly endless. From simple and functional to ornate custom designs your imagination is limited only by your budget. 🙂 However, through the combined purchasing power of our multiple locations we are confident that our pricing is the best value in Utah. Of course there are always ways to get something cheaper, for example in the case of exterior iron, thin-walled steel tube, cheap finish, etc. The fact remains that you get what you pay for and apples to apples our prices will stand against any of our competitions. Whether you contract with Titan or a competitor, always make certain that you know what finish has been applied. 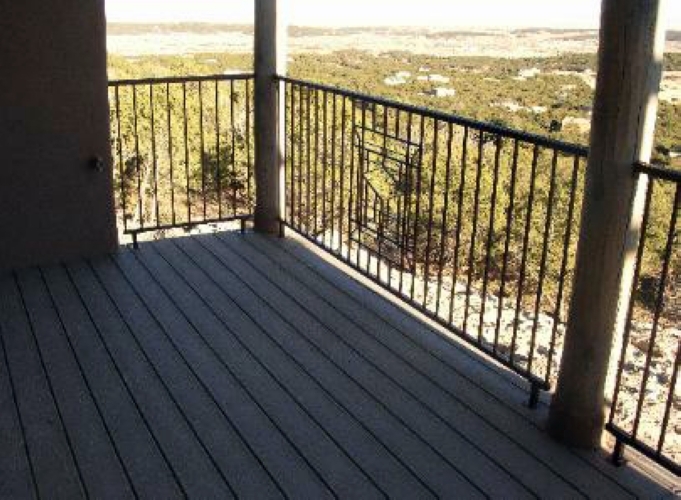 In the warm dry climates such as St. George or Moab, a phosphate wash and Powder Coat only may meet your needs. However, in areas with more snow and rain Sandblast and Primer are highly recommended. While these do increase the initial cost they will save you dramatically in the future in both time and agony. In the very least, when comparing quotes verify the wall thickness, Finish Coat and Guarantee.